and unforgettable setting in New South Wales. surrounds this intimate and private venue. Blue Mountains of New South Wales. 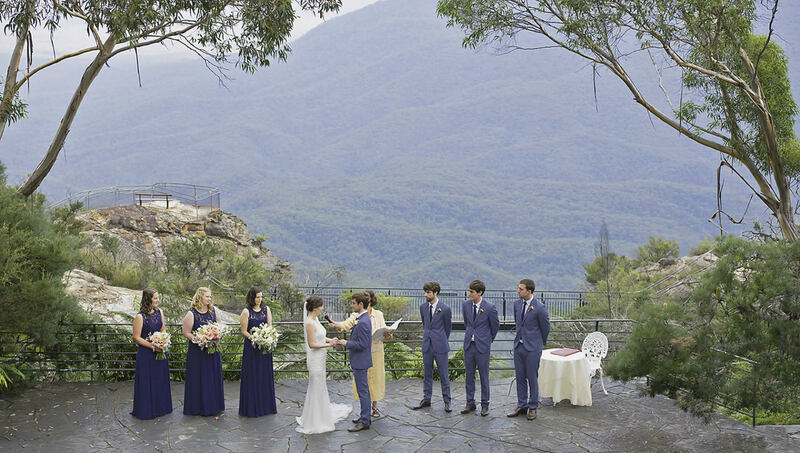 The historic sandstone amphitheatre at Leura, overlooking the awe-inspiring Jamison Valley, is the perfect location for your Blue Mountains wedding. 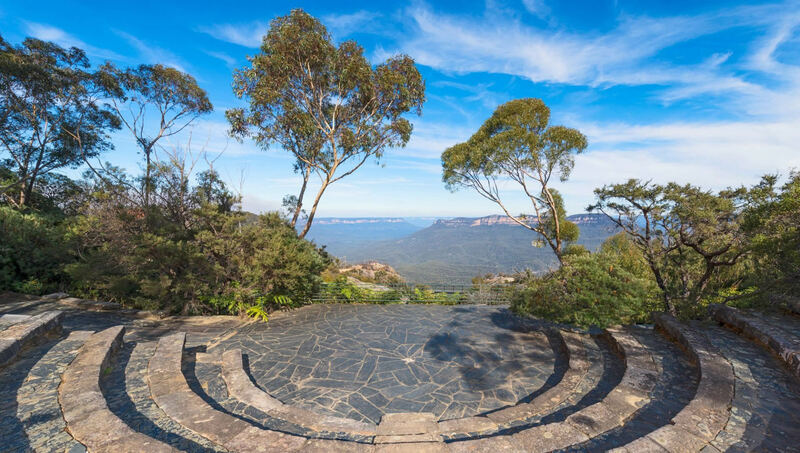 Framed by eucalypts, the view out to Mount Solitary is timeless, yet the amphitheatre itself is private and secluded so you’ll feel on top of the world for this important day. The century-old cool-climate gardens of Leuralla are the perfect location for romantic and relaxed wedding photos. In contrast to the rugged beauty of the Blue Mountains, the garden is a serene, sophisticated oasis of green. It is truly one of NSW’s most majestic private gardens.